3000 years ago at this time there was such rejoicing inIsraelbecause the first crops of the year were being harvested. The Barley harvest had happened and we were counting the days until the wheat harvest. We were also remembering the wilderness quest. After our miraculous escape from that narrow place that we call Mitrayim we had entered the wilderness of Sinai. We counted the days until G’s offering to us, Torah. We make Korbanot, ways of coming closer to G. But G also offered us another way of coming closer. 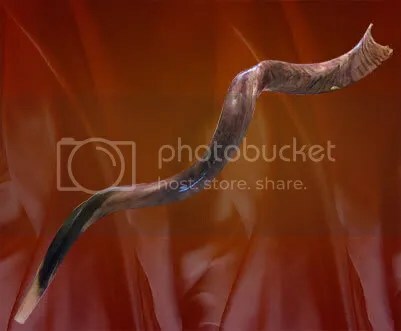 In a sense, Torah is a Korban offered by G for us to come closer, to make the sacred connection. As we count the days, called counting the Omer, we reenact creation; the creation of the world and the creation of our tribe. According to Kabbalah G used 10 Sefirot to move the spiritual into the material thus creating the energy-matter connection. We reenact the flow of spiritual into material by counting the 7 lower Sefirot, speaking of them and playing in the limbs of the Sefirotic tree. There are 49 days between the second night of Pesah and Shavuot, which is a week of weeks. We unpack each of the 7 lower Sefirot find in each one, all of the 7 repeated until 49 have been completed, contemplated and experienced. It is like a dream within a dream as we float among the limbs and leaves of the Sacred tree. On the eve of the second Seder we counted the first Sefirah The first Sefirah within Sefirah. It is Hesed within Hesed. Hesed is compassion, it is unconditional love. Compassion within unconditional love, is a heartful place. Hesed within Hesed is selfless and giving and what can compare to that feeling. Give a try: Sit comfortably in a quiet place. Take a few conscious breaths. Allow yourself to feel the love that means so much to you. It might be, as the Haggadah says; love of parent for child and child for parent. It might be your life partner or nature’s beauty. The love that we offer has a transformative power for the receiver and also the giver. Offer it now, in your heart, from your heart. 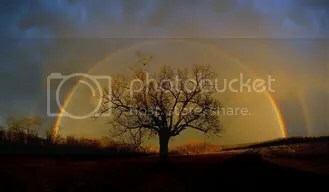 The next night, this year April 8, we climb to the branch growing out of Hesed that is called Gevurah. 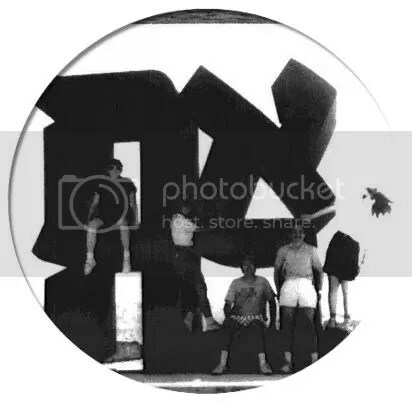 On that branch, Gevurah of Hesed, we bring some discipline and gentle judgment to the power of love. We love unconditionally but that love is not blind. We are human and fallible. Our Hesed exalts our humanity and our Gevurah grounds us with discernment. Give a try: Sit comfortably in a quiet place. Take a few conscious breaths. Consider how we share our differences with those we love. Monday night, April 9th is the eve of Tiferet of Hesed. Still within the loving place we seek out balance. It is not the balance between love and judgment. It is the balance of judgment within love; this is called beauty, Tiferet. We can only see G through the beauty of G creations. In the mountains and forests and in the loving balance for which we strive with friends, family and self we discover G.
Give a try: Stand in an open space (maybe with a friend to spot you). Concentrate on a spot in the distance. Lift one leg and balance for a few moments while taking a few conscious breaths. Now try with the same thing with the other leg. Finally, stand on both feet legs slightly spread and knees bent. Take a few conscious breaths as you feel your balance. How beautiful it is to find balance in our lives. I have seen the good guys and the bad guys. I have been around for a long time and I have seen the best in people and the worst. I know of the many different tribes of the spirit. I have been leaned on by the tribe of Jewing folk since their beginning. I know that the folk of this tribe teach that one should care for the stranger as for the home-born. And I know of the exception: The tribe of Amalek. To some it would seem strange that the tribe of Jewing is committed to the destruction of another tribe. But I know the history and I know the secret meaning of this seeming bloodlust, for I was there at the beginning. I am the Mateh, the staff made from the Tree of Life, given to Adam and Havah, passed down to the 3 forefathers and 4 foremothers. I was lost in the palace of Pharaoh from the time of Yosef up to the time when Moshe as a child in Pharaoh’s daughter’s house found me and chose me over gold and silver, chose his path as a just leader of freed slaves rather than that of a Pharaoh’s sadistic apprentice. Yes and I have been there to witness the history of the tribe of Jewing. Because I come from G’s Tree of Life, I also am aware of the mystery. I know the story and the lesson, the test and the teaching. 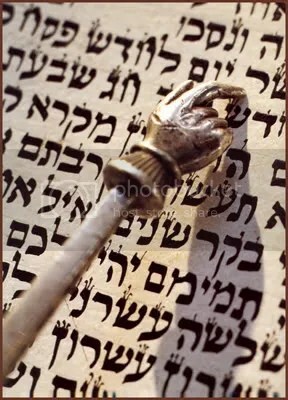 I am here to pass on both to any who can listen to G’s voice on the wind, to any who can sit in silence, to any who would hold me, and realize that I am a sacred connection, I am Mateh Moshe, I am from the Tree of Life to all who will hold fast to Torah. Elishav chased Yaakov and caught up with him. Strangely enough when Elishav confronted Yaakov, Yaakov spoke to his nephew a teaching that would later be written in Talmud. He said: “I know that you are here to kill me, but I do not want my blood on your hands. It is a truth that a poor man is like one who is dead. So take all of my gold and silver and return to your father, knowing that you have fulfilled his wishes.” Elishav whose name means “wealth is my god” greedily accepted his uncle’s proposal and left him alive. This is how Yaakov ended up before his uncle, penniless. Esav was not happy with his son’s choice and chastised him for being fooled by his uncle. And Elishav took this to heart. When he married, he passed on his father’s hatred to his son. And it was passed down among his kin who became the evil tribe of Amalek. Hundreds of years later, as the descendants of Yaakov were leavingEgypt, following Moshe, they were attacked by the descendants of Elishav. The Amalekites attacked the weak and infirm, the elders and children who were in the back of that band of Jews fleeing the oppression ofEgypt. When the people realized what the evil Amalekites did, they took to heart the emanation that Amalekites were the eternal enemies of the descendants of Yaakov, those called Bnay Yisrael. They vowed to wipe out the Bnay Amalek, the sons of Elishav. But you two-leggeds forget easily. And when theKingdomofShaulwent to war with the Amalekites Shaul let Agog, their king live. When G admonished Shaul he went to kill the murderous enemy of his people. But it was too late. Agog had raped a woman of his own tribe and she became pregnant. And it is his descendants who birthed some of the most hated and heinous murderers of all time. Haman was such a descendant, as was Torquemada and Hitler. Others of this tribe have arisen and laid waste to humanity. To be sure the tribe of Jewing has put limits as to the discovery and punishment of the evil doers. There is a sacred teaching that No Amalekite is known except for his actions. All children are innocent. No person can be accused of being a member of that despicable tribe except by his deeds. That is the history of the animosity but that is not the deep meaning of the mystery of Amalek. You see Amalek represents the basest of human instincts. Every animal that hunts, seeks weakness. A pride of lions, a pack of hyenas, a lone cougar will all seek the weakest of the herd, the lame the sick the young and the old. Now animal nature works for animals. The hunter culls the herd the herd stays together for protection. It is not good, it is not bad, it simply is. But for the human to prey upon the weak, the poor, the stranger in hir midst, the widow and orphan is evil. And for members of the tribe to ignore those in need, being concerned only for themselves, going along to get along, hiding in the safety of the pack is a base and debasing path. The Bnay Yisrael are taught to care for the stranger, the orphan the widow and the poor. They are taught to be just and compassionate, to protect the weakest of the tribe and to reach out to those in need whether of their tribe or not treating the stranger as the home born. This offering is part of an ever-growing series of interpretations, commentaries and stories featuring as the ‘hero’ the Mateh of Moshe. For more stories, check out some of my earlier blogs. Trying to be gender neutral is tryng. My attempt is s/he for he and she, and hir for him and her. What do we think of when we think of Hanukah. If you are under 18 or a parent of someone under 18, you think of gifts. Most adults think of Latkes and lights. If we let our minds flow to a deeper place, the miracle of the oil comes to mind. We speak of a small cruse of oil that lasted for eight days. And yet, the story of the “miracle of the oil” was written at least 200 years after the events that are the basis of our holiday. The story begins in blood and flame and fervor for freedom. And yet, the battle with the Syrian Greeks has lost its luster in world fraught with war and death. Many people say that the story of the “miracle of the oil” was written to elevate the emphasis of Hanukah. 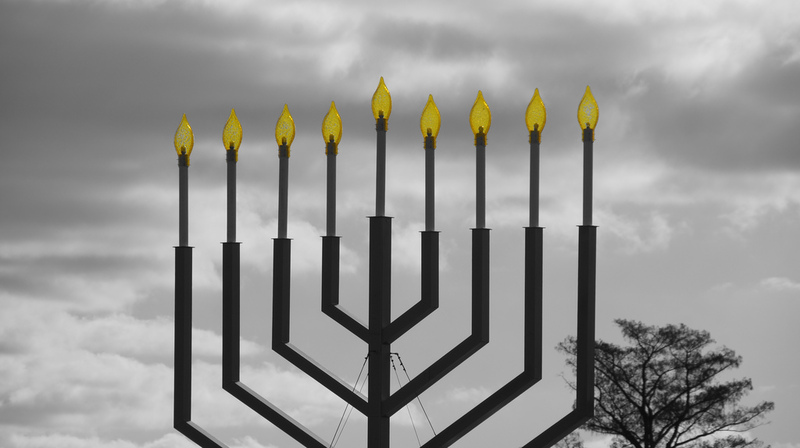 In the physical realm, Hanukah is the story of a war for religious freedom. The story of the “miracle of the oil” is rooted in the understanding that these eight days also belong in the realm of the spirit. The story of the “miracle of the oil” may not live in the realm of facts and history, but it shines bright in the realm of truth and faith. The story comes to us to shed some light (pun intended) upon the holiday called dedication” (Hanukah חנוכה means dedication).